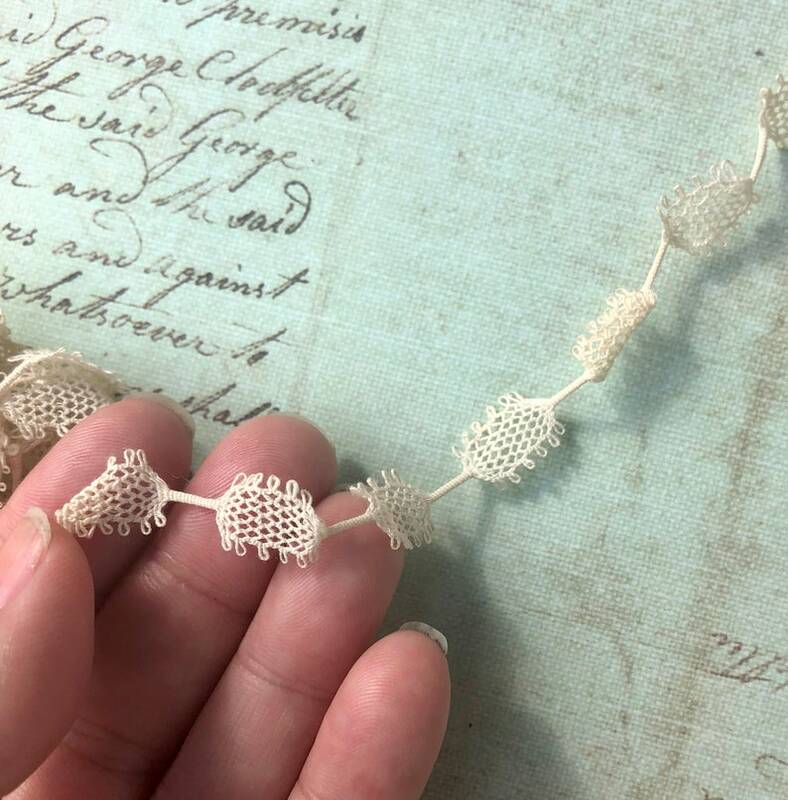 This is charming vintage trim, which I believe is known as "turtle braid" and was used for lace making, among other things. This trim feels to me like it has a bit of linen in it - maybe a linen//cotton blend. It’s s nice small scale and a pretty ivory/off-white color. This trim measures about 2/8 inch wide and this listing is for 1 yard. If you need more than 1 yard, you can adjust the "quantity" before you put it in your cart. It is in very good condition.